Are you the one everyone deems worthy to call when stuff seems to break down? Well. 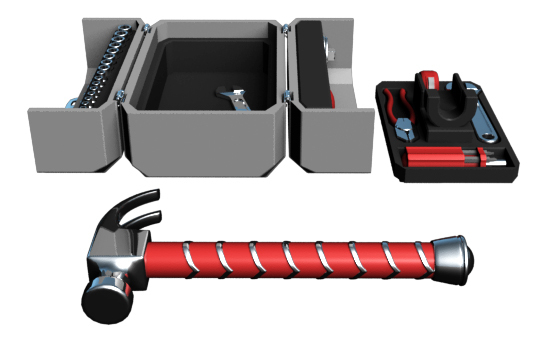 Dave’s Geeky Ideas might just have a toolbox for you in case you have to smite your foes and get a little work done on the house as well. This is the Mjolnir Toolbox. 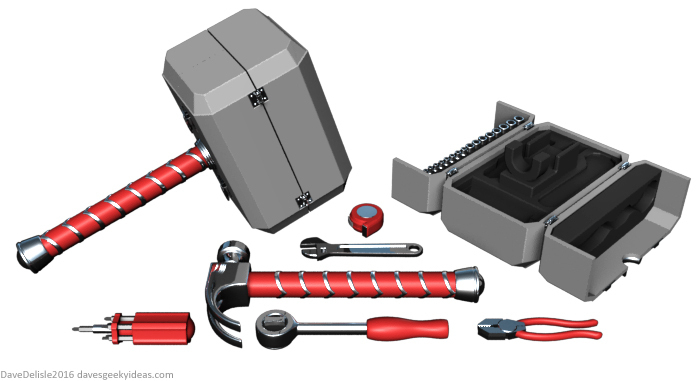 A hammer doubles up as Mjolnir’s handle while the body opens up to reveal tools, such as: a set of socket wrenches, what we’re guess is either a wire cuter or pliers, a screwdriver with interchangeable heads, and a wrench. Sadly, this beautiful piece of geek and DIY swag is just one of Dave’s brilliant ideas that you can find on his website, like this beautiful Transformer Vacuum Cleaner. So no amount of throwing thousand peso bills at the screen will get these items delivered to your doorstep… yet. But, we can all drool and dream for now. Check out Dave’s Geeky Ideas for more awesome household items that we wish we could have. Please make them real, Dave. Previous articlePrepare to Rise Up… Street Fighter V is finally available worldwide!